Looking to invest in commercial real estate? Whether you’re interested in buying a building, office complex, mall, or another type of commercial space, you’ll need to secure the right financing in order to make it happen. And that’s where we come in. 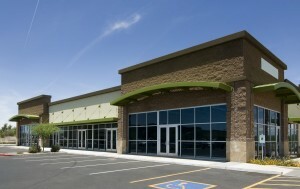 At Edward Voccola & Co., LLC, we offer commercial real estate financing for qualified buyers. We provide a broad range of commercial loans starting at $200,000- $25,000,000 to assist you with all your capital requirements. Our financing programs continue to have significant competitive advantages for borrowers. The current list of properties that we deal with include a variety of single tenant & multi-unit family structures, mixed-use apartment & retail centers, residential apartment buildings, neighborhood centers, multi-tenanat or single-tenant office buildings, industrial warehouse & manufacting, medical, hotels & hospitality, triple NNN properties, credit tenant and churches. At Edward Voccola & Co., LLC, our goal is to provide investors nationwide with the most favorable financing rates available. We want to make the process of financing commercial real estate easy and hassle-free, and that’s why we go out of our way to offer great service, no matter the size of the loan or transaction. Every member of our team is committed to excellence; and we work hard to not just meet, but exceed our customers’ expectations.